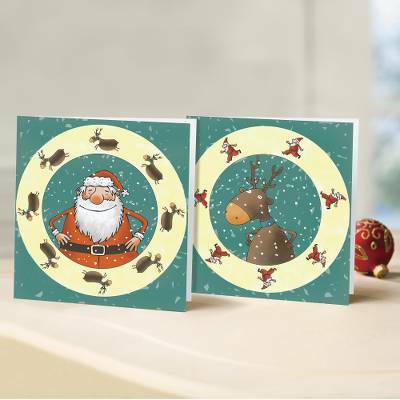 Santa and a reindeer encircle the season with festive fun. These whimsical illustrations give a nod to the flurry of the season. Multi-lingual Season's Greetings inside. 10 cards, 2 designs. Printed in the UK.